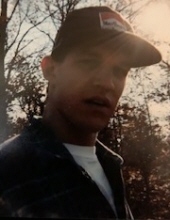 Steven Joseph Schiller, of Wisconsin Rapids, formerly of Sussex, WI, passed away unexpectedly on March 28, 2019, at the age of 44. Beloved son of Roger (Bobbie) Schiller & Carol Schiller. Dear brother to Jason (Colleen) Schiller. Uncle to Liam & Garrett Schiller. Best Friend to Axl, his beloved Shi-poo. Also survived by a large, loving family & close friends. Visitation will be held on Thursday, April 11, 2019, at Christ Our Savior’s Lutheran Church, N59W22476 Silver Spring Dr, Sussex, WI 53089, from 5pm-7pm. Memorial service at 7pm. The family suggests and would truly appreciate memorial contributions. Steve was a member of Local 434 as a journeyman plumber, formerly a member of Plumber’s Local 75 of Milwaukee. Steve was an incredibly gifted musician with an astonishing & captivating voice. He was the former lead singer of the group Chainsnap from Central WI. Back in his younger days, he would draw large crowds at the Karaoke places around town. He also loved to hunt, fish, snowmobile and do anything outdoors. We are certain he is singing songs with all the other musicians in Heaven, and he can now Rock N Roll All Night and Party Every Day for the rest of eternity. To send flowers or a remembrance gift to the family of Steven Schiller, please visit our Tribute Store. "Email Address" would like to share the life celebration of Steven Schiller. Click on the "link" to go to share a favorite memory or leave a condolence message for the family.